no more wars, no more walls. Part of one of the last stretches of the Berlin Wall is to make way for luxury apartments and a pedestrian bridge over the river. 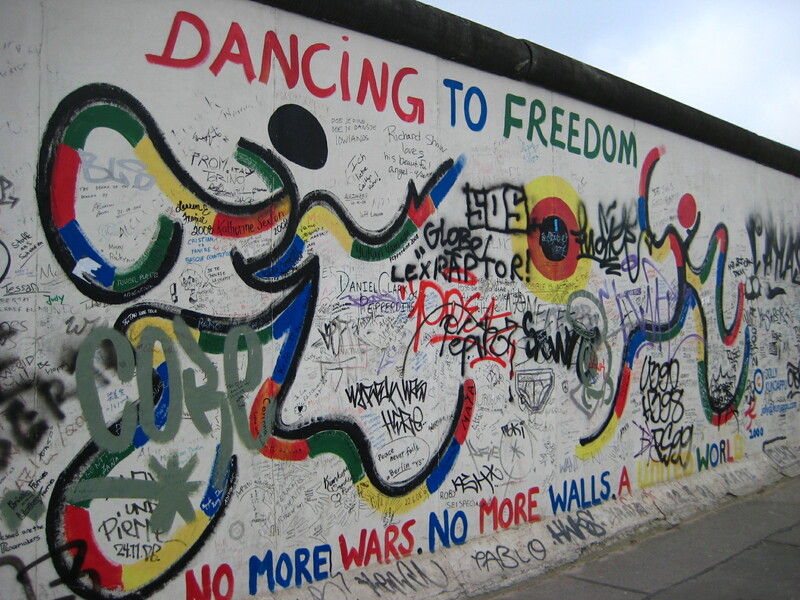 The East Side Gallery, a few kilometres of colourful, cartoon-like murals, many celebrating the fall of the wall, protesting over a long gone Cold War, or making genial pleas for world peace, will soon be partially dismantled for the sake of comfort living and commerce. Protests have been organised, petitions signed, and social networks have been complaining. What should Berlin do with a huge wasteland in its centre? 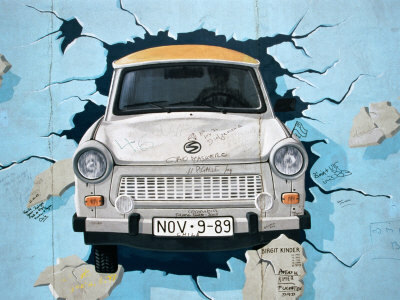 What does the East Side Gallery represent today? How do we chose what to conserve and what to renew? How ‘authentic’ is the East Side Gallery, and does it matter? I don’t have any definitive answers, but I’m not very convinced by vague arguments from resentment towards people who may be able to afford new apartments by the river, and if people want a voice in shaping the city, would it not be more productive to engage in the debate, rather than striking a reactionary, conservative and absolutist approach? I hope development of this city is done with consideration towards its history, the character of its different areas, and the needs of its most vulnerable citizens, and any changes should be questioned, but I can’t support a blanket demand to keep things just as they are.